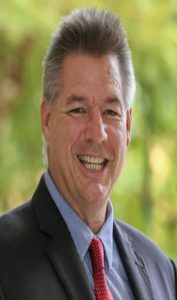 Brett Moller is our Consultant, having previously operated his own law practice he has in excess of 30 years legal experience. Brett practices in the areas of Commercial and Property law, in Wills and Estate Planning/Business Succession law and in all aspects of rural law. Having held many director positions such as the State Chair and Life Member of the Chamber of Commerce and Industry Qld, having served as a director on the Australian Chamber Board, Chairman of the Government Owned Ports North Corporation and Deputy Chair of the previous Mulgrave Central Mill Co Ltd and as a director on the ASX listed MSF Sugar, Brett has significant corporate governance experience to assist Corporations and also Not For Profit Associations at community and sporting levels. Brett has demonstrated a strong commitment to the Tropical North Qld region through his pro bono legal work for community and sporting organisations, his various board positions and he is currently Division 1 Councillor for the Cairns Regional Council representing the southern corridor of Cairns from Edmonton, Gordonvale through to the Babinda, Mirriwinni and Bramston Beach communities.